Are Corda rope sandals true to size? 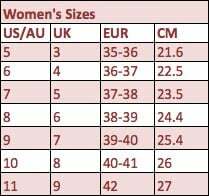 Our shoes are sized per typical US sizes and we would recommend you buy according to “standard” US shoes. If you normally wear a half size, we recommend rounding UP. If you have any concerns about getting the right fit, please message us and we will get back to you with recommendations! Are the rope sandals comfortable? YES. If the sun shines there and adventure abounds, we ship there. In short there is nowhere in the world we have found yet we don’t ship. At last check we have shipped to 45 countries! 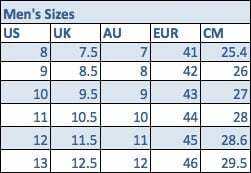 For international purchases, unfortunately, we do not offer exchanges unless we made an error on our part (we sent you a size different than you ordered). We ask that you measure your foot in cm and let us know when you order so we can get you the right fitting sandal! and send us an email at DoGood@cordalife.com to let us know. We will pay the shipping to get your new pair of sandals to you. How will my rope soles hold up? The rubber soles protect the borders and last a lot longer so you won’t see the same effects and wear and tear from your deep love of them. Haven’t heard of anyone walking through the rubber sole yet! Rope Sandals with rubber soles usually hold up for years. How do I clean my rope shoes? Corda Rope Sandals can be machine washed and dried, but we suggest washing them by hand. Start with water and bleach to get rid of all germs. Then choose a pleasant smelling natural soap and hand scrub with a brush. Rinse with water and spin them around a few times to shake out as much water as you can. Then set in the sun until dried. Mmm clean sandals! Are rope sandals water resistant? YES. These babies can handle salt water, chlorine, river water, lake water, rain water, jungle puddles, you name it. But you don’t want to leave them wet for long. Just make sure your rope sandals dry really well before putting them away. . TIP – when you set out your shoes to dry, do so in the sun if possible, and stand them on their toes, or heels, to dry out! Yes. All of our rope shoes are 100% vegan. Who exactly do you give jobs to? We first try to hire young adults leaving orphanages to give them the opportunity they need to sustain themselves. We also hire people who need a little extra help, like single mothers or those with medical disabilities, like epilepsy or effects from Polio. We ensure they have the flexibility and accommodations to care for their medical needs.